From August 2018, customers will notice our rebranded food packaging start to appear on shelf in all major stockists. We are excited to announce our new packaging will start to appear on shelf from August 2018. This transition to new packaging will occur over a number of months. During this time there will be a mix of current and new packaging on shelf. There are no major changes to these products, in some instances there is a small name change or slight recipe improvement, see below for the full details. Products purchased via the website will be delivered to customers in our old packaging until the end of October. From November, products ordered from the website will be delivered in the new packaging. Please note, our Infant Formula packaging will not be rebranded until later in 2019. Note: We have also upgraded some of our RTS recipes to remove added sugars and to remove some of the more complex ingredients that are not required for young children such as Tamari. Home/Nutrition & Recipes/Articles/Infant & Toddler Nutrition/Bottle Feeding/Baby formula. Not sure what to choose? Consider certified organic baby formula. Baby formula. Not sure what to choose? Consider certified organic baby formula. It can be a stressful time weaning your baby off the breast or having to choose a baby formula. But what if the formula you choose doesn’t seem to agree with your little one? It’s certainly very distressing when your baby is physically sick; especially after you have just fed them formula you thought was nurturing their growing bodies. However, Bellamy’s Organic would like to make a couple of points that parents and carers should bear in mind when choosing baby foods, including baby formula. Most importantly, all infant formulas in Australia have to comply with strict nutrition guidelines as dictated by the Australian and New Zealand Food Standards (ANZFS). Our formulas meet these standards and we really pride ourselves in the quality of the products we produce. It’s because we have such stringent quality control that Australian made baby formula is so sought after in Asia. Second is that all babies are different and some small tummies do not tolerate change very well! Many of you will know that infant formulas, from birth, are whey protein dominant with similar protein ratios to those found in breast milk. Formulas designed for older babies contain increased levels of casein protein. Casein protein is a little more “substantial” and is therefore more filling and is more suitable for older infants. The transition between whey dominant formulas and casein dominant baby formulas as your baby grows can in some instances cause tummy upsets. This is not unusual. The types and amounts of vitamins and minerals in formula are there to provide complete nutritional balance and are all required under the ANZFS. These vitamins and minerals are very unlikely to cause any problems. Also bear in mind, that it’s not unusual for babies to have wind, uncomfortably full tummies, or even ‘spit up’ after feeding. This can happen with both breast milk and formulas. All babies are different and have different digestive systems and in many cases one formula that agrees with one baby may not agree with another. So, it can be a bit of trial and error to find a baby formula that your baby really likes. However, you need to give your baby some time for their little digestive system to get used to the formula. Their tummies can be affected by all sorts of things including sickness, teething, and different and new foods or drinks being introduced. It may not be the formula that is causing issues but something else. All in all, you know your baby best and if you feel there is a deeper problem, you should seek advice from your health professional. You may consider an organic formula. At Bellamy’s our formulas are fully certified organic, so they are free from chemicals and other nasties as our milk comes from certified organic cows. Many mothers have suggested that our baby formulas may work well for those babies that are having trouble digesting conventional formula and we get many supportive stories sent to us about this. So, if you’re concerned you might consider choosing or changing to an organic baby formula. If we can help you with these concerns, talk to an experienced mother at Bellamy’s. 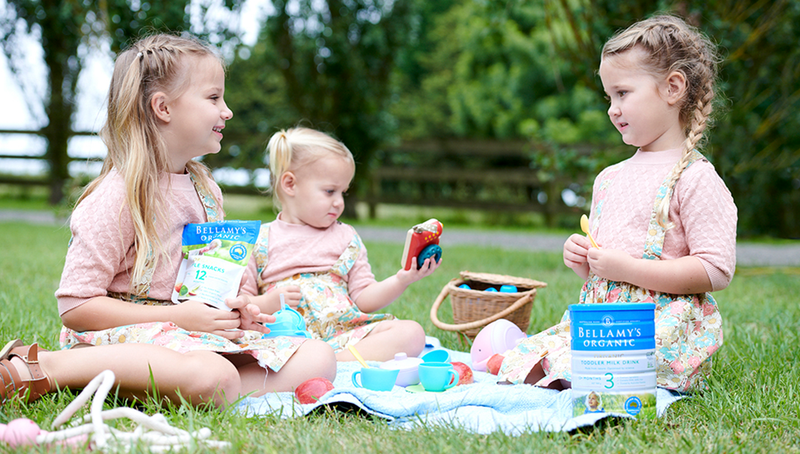 If you’d like to know more about Bellamy’s Organic and the certified organic baby foods we make, click on this link. Thanks for reading our blog. We hope you found this information interesting. The World Health Organisation recommends that breastfeeding is best for your baby. Having a balanced diet when breastfeeding is also important. Baby formulas should only be used after you’ve sought advice from a doctor or health practitioner. A decision not to breastfeed can be difficult to reverse and introducing partial bottle feeding will reduce the supply of breast milk. It is also wise to consider the cost of infant formula. If you use infant formula, all preparation and feeding instructions must be followed as per the manufacturer’s instructions. This is important for your baby’s health. Milk. The baby formula milk debate: cow milk, goat milk or soy milk? Bellamy’s Organic baby formula. How to go from breast to bottle. How Much Milk Do Babies Need? All rights reserved © 2019 Bellamy's Organic. Design & Creative Direction by Double Lux. Having a balanced diet when breastfeeding is also important. Infant Formulas should only be used after you’ve sought advice from a doctor or health practitioner. A decision not to breastfeed can be difficult to reverse and introducing partial bottle feeding may reduce the supply of breast milk. It is also wise to consider the cost of infant formula.